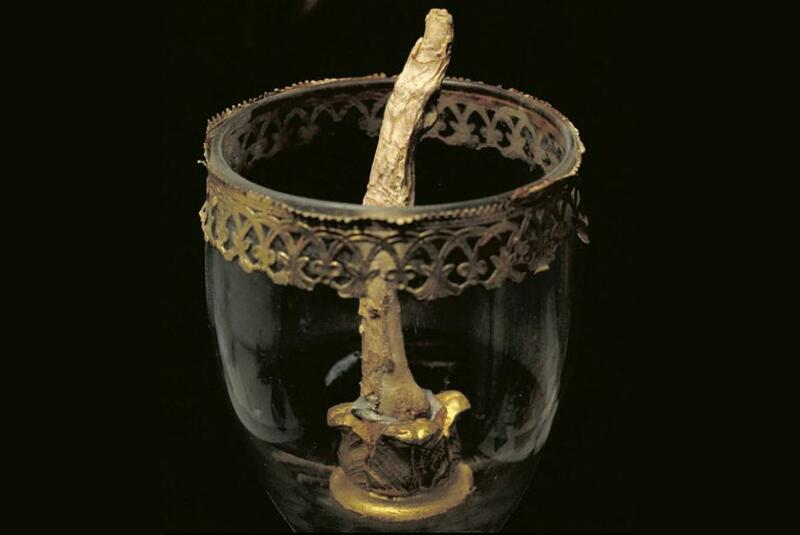 In what could be considered a proverbial “screw you” to the Catholic Church, the long dead, amputated middle finger of Galileo is on display in a museum in Florence, Italy. The macabre display of the solitary digit protruding skyward, as if it is pointing towards the heavens, is one of the more bizarre artifacts that you will encounter in a scientific display. So how is it that Galileo’s middle finger, the father of modern science’s middle finger at that, became a display piece at the Florence History of Science Museum for wide eyed gawkers to wonder over? Anyone who has studied even the most rudimentary of science will know who Galileo is. He was a scientist, astronomer, and supporter of Copernicus’s theory of heliocentrism. That is the idea that the Earth revolves around the sun. He did all this work at a time where scientific discovery was heavily scrutinized, and often criticized by the church as being incorrect, and contrary to scripture. For his discoveries that were generations ahead of their time, he faced the Roman Inquisition, and was branded a heretic. So now to that middle finger of Galileo’s, and him giving it to the church. Let’s just clear this up first. He actually died with all of his fingers attached, so that means someone stole it from a corpse, which is a little more disturbing. I can sort of understand a mob “debt collector” cutting off his finger in lieu of payment, and maybe keeping it as a sort of warning, but a weird, perverted individual gathering body parts as a bit of a trophy… That’s on a whole new level of twisted. On March 12, 1737, 95 years after Galileo had died, Anton Francesco Gori entered his tomb and stole his middle finger. The things that we do when we’re drunk right? Well it would seem that he wasn’t too comfortable with his newest artifact, and over the next couple of hundred years Galileo’s middle finger was the apparent hot potato, going from one owner to another. It finally found a home in the Florence History of Science Museum. In 1905 some other body parts of this brilliant man went missing. For over 100 years they were missing in action, until when in 2009 a tooth, two more fingers, and a vertebrae were discovered at auction. When it was determined beyond all possible doubt that the other body parts were also his, they were sent to the Science Museum to be with his lonely finger. 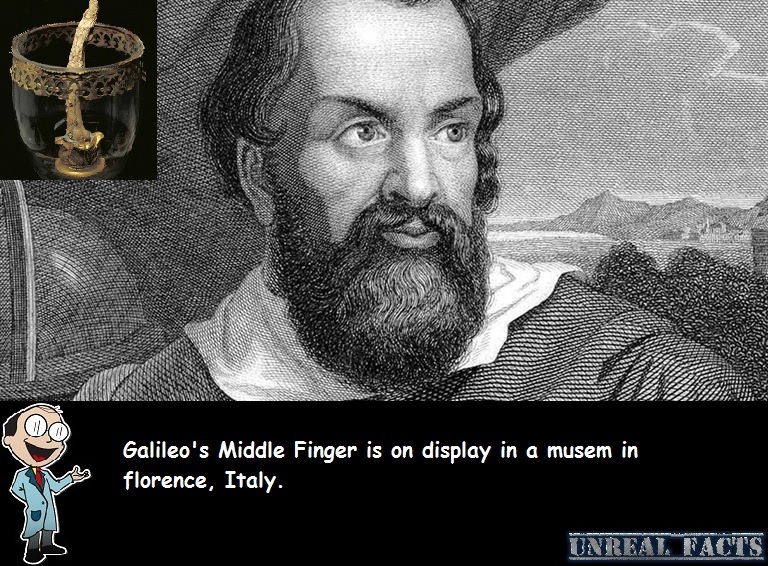 Today Galileo’s middle finger can be found inside a glass egg on display at the Florence History of Science Museum. Whether or not it was erected in a final act of defiance towards his oppressors, the Catholic Church, remains unknown.